Beginning of March 1942 a group of about five Jehovah's Witnesses in Augsburg had to demolish an old building and build on that site a new slaughterhouse. The initiative for the compulsory use of prisoners apparently went back to the Sachsenhauser concentration camp commander Hans Loritz. He came namely himself from Augsburg and was friends with one of the supporters of the slaughterhouse. Similar to the case of Sub-Camp St. Gilgen, Loritz chose Jehovah's Witnesses from the inmates of the Sachsenhausen concentration camp near Berlin but initially had them based at Dachau. From there, the prisoners were immediately brought to the new sub-camp on to the site of his Augsburger friends. After completion of the work in the summer of 1942, the SS transported the prisoners back via KZ Dachau main camp back to Sachsenhausen. It is unclear where exactly the slaughterhouse was located and in which building the prisoners were held. Also about working conditions in this small Augsburg sub-camp is hardly anything known. One of the prisoners, Reinhold Lühring, noted in 1971 that the prisoners had to work every day in a thick cloud of dust in the demolition the old building. He himself had already suffered in Sachsenhausen from loss of appetite and severe pain, which was aggravated by the demolition. The use of prisoners after 1945 has never been the subject of any legal investigations. In February 1943, the Messerschmitt AG built a POW facility within a few days as a sub-camp for the Dachau concentration camp. The camp was on the site of a former gravel pit at the Inninger Street, in the then independent municipality of Haunstetten. It was surrounded with a ten feet high barbed wire fence with four watchtowers at the corners and shielded from the outside world. The prisoners were kept in 22 wooden barracks, which were overcrowded and poorly heated in winter. Although the prisoners slept in individual beds that were equipped with Hessian bags filled with straw and covered with a sheet as a mattress plus a blanket. [This was a standard issue during my training under SS Administration, and I found nothing wrong with it. HKS] An infirmary was available, however, treatment was confined only to outpatient or minor accidents. For more severe illnesses or injuries which affected prisoners and in most cases had to be transferred back to the main camp at Dachau. In January 1944, 2,695 detainees were in the camp, at that stage it was already planned to take up to 3,400 people, furthermore the Messerschmitt company sought to expand the capacity to 4,500 prisoners from June 1943. Thereby the camp counted thus to one of the larger sub-camps that worked for the aerospace defence industry within the Reich. The first 200 prisoners arrived with their guards from the Mauthausen concentration camp, as a procedural method prisoners were first registered, and then transferred officially from Dachau. The detainees belonged to different nationalities. There were mainly German, French, Soviet citizens and Poles. Looking at the SS-categories of prisoners, these were mainly political detainees , but also Gypsies, Jehovah's Witnesses, work-shy individuals and some that were held under the Police Protection Policy. 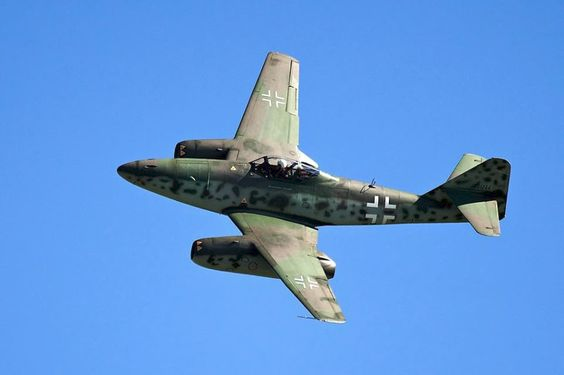 The prisoners worked almost exclusively in the Messerschmitt factories in Augsburg or rather in the north of Haunstetten at the production program of the Me-210 and Me-410 aircraft. Due to the specific qualification requirements in aircraft manufacture some of the prisoners were not working directly at the aircraft assembly, but done construction work - or other legwork. The concentration camp inmates worked in rotating shifts of twelve hours each from Monday to Friday and Saturdays six hours. Before and after working hours, the prisoners were faced to walk two kilometres back and forth to their camp. One prisoner reported: 'The daily routine looked like this: By 4.30 am we had to get up and then attended the Appel (Roll call), after that we were divided into labour gangs. Accompanied by guards we were then led to work, past Haunstetten, but it was that early in the day so that the population could take little notice of us. We KZler (prisoners) arrived around four clock in the assembly-hall, the other workers (German civilians) of Messerschmitt began their shift at seven o'clock. The march there and back was carried out again in columns, the SS guarded us with dogs. Once I was bitten by a dog in the hip, but I did not let them treat me, as I was afraid, otherwise be classified as unable to work and to be taken back to Dachau." 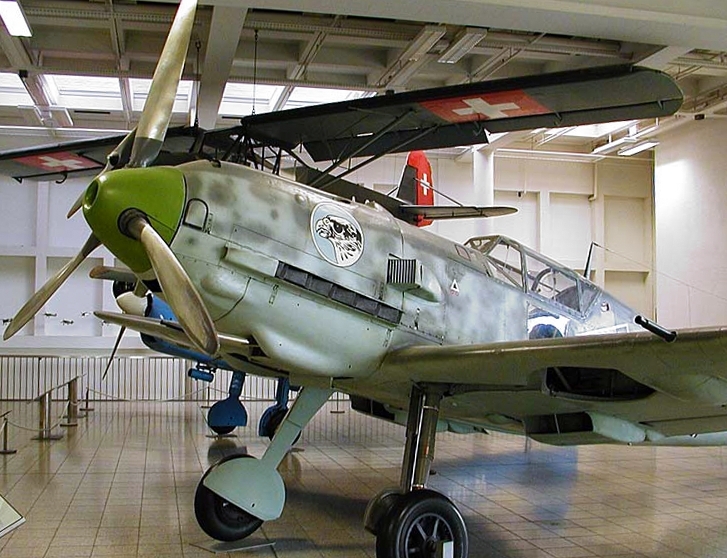 A Messerschmitt Bf 109E, a model built at the Haunstetten Messerschmitt facilities. The treatment of the prisoners by the company employees seem to be generally been correct. It even happened that company employees despite prohibition of contact or similar provisions were trying to help the prisoners. But there were also complaints by the regular workforce. Denunciation, followed by beatings by the SS for alleged sabotage had also occurred. The SS guards punished and mistreated the prisoners arbitrary. Fear of sabotage charges for minor errors were common among prisoners. It is unclear whether in Haunstetten prisoners were executed or murdered. Some former prisoners report in detail about executions for trying to escape and sabotage allegations, others can not remember that any killings took place. In the Death Register (Totenbuch) of Dachau, prisoners from sub-camp Haunstetten are frequently listed as deceased. Over one hundred prisoners died as a result of air raids. Air-raid shelters for prisoners were hardly ever made available during frequent bombings. Factory-owned shelters could be sought only in exceptional cases. The Messerschmitt facilities and the surrounding areas were bombed during American and British air raids, which killed 165 people, including 70 prisoners from the Dachau satellite camp during one raid. The American and British bombing raids caused significant damage to the Haunstetten area. Although the exact death toll of captured labourers and prisoners is not known, the war and subsequent bombing raids killed 300 residents and destroyed one quarter of all residences in the area. The cause of death of some other prisoners is unclear. It has been testified that there were suicides in Haunstetten due to hunger, fatigue, penalties and permanent physical, but also mental tension of camp inmates. Who were the camp commandant in Haunstetten, could not be established with certainty in the process. Citing memories of detainees, conditions under camp leader Hauptscharführer Fritz Wilhelm had initially been considered as brutal. Wilhelm was transferred apparently because of the fire of a guard shack and the escape of six prisoners and the murder of a prisoner. Another camp leader was described as a sadistic-jammed individual was Hauptscharführer Betz. Behaviour of the SS-Wachmannschaft is even less known. Only individual names could be ascertained. The investigation by the Central Office of the State Justice Administrations in Ludwigsburg led to no prosecutions. On the 13th April 1944, the camp was destroyed by an air raid and never rebuilt. The surviving prisoners had to spend the first nights on a nearby shooting range and were then distributed to other sub-camps of the Messerschmitt AG. For example, about 600 survivors came to Gablingen and 398 to Leonberg. Today the Hermann Fried Street leads to the former camp. One part is built up with houses, on the other part there is a green area with a playground. Memorials have been erected as a reminder of the victims among the inmates. An initiative is also under way trying to create a memorial site for the old sub-camp at Augsburg-Haunstetten. 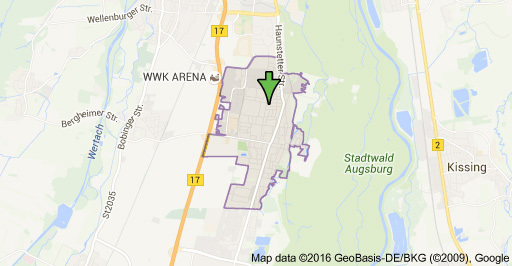 In the Augsburg district of Kriegshaber consisted 1944/45 a concentration camp for women. The camp was set up in the main building of the former Michel works and was on the second floor of the northern tract. Today at number 160 Ulmer Strasse is the Augsburg Gewerbehof (Trade Park) housed. The camp was probably built in August 1944 and was first mentioned on the 7th September 1944 and It existed until 25 April 1945. In the camp about 500 Hungarian Jewesses were housed. The women came via Auschwitz to Augsburg. About 300 of the women were working in the Michel works, which emerged from a medium commercial radio company which previously produced electrical components. During the war they manufactured mainly connectors and relays for aircrafts. Workplaces of concentration camp prisoners were mainly at the factory number 2 at the Ulmer Strasse. Some of the women were working temporarily in the number 1 of the Michel works at the Rehmstrasse, today it is the Gewerbwehof on Siebentischwald. Some women are said to have worked in the industry works Lohwald close to Neusäss in the production of camouflage paints. Approximately 200 female prisoners were forced to work in the basement of the Firm Knappich (shortened called Kuka). The Kuka plant in the Ulmer Strasse 74 was about one kilometre away from the camp. This machine factory was founded in 1898, and had manufactured Arc-Welders before 1939 as well as municipal vehicles. During the war it produced armament components. Flora Klein, then a prisoner in Kriegshaber, recalls: "We were 500 women prisoners in this building, all from Hungary and the Hungarian language areas, Transylvania, Carpathian-Russia and Slovakia The housing complex was located on the outskirts of the city and we were divided into two shifts, guarded and led by Wehrmacht soldiers to the factory basement, which was about half an hour's walk until we reached the factory where we worked on the production line of steel presses for different components. Wehrmacht soldiers guarded us and several times there came an SS-Helferin as well SS officers. The Wehrmacht soldiers and SS-Helferinnen lived in the same Living Complex as us inmates, only in a different part." the sub-camp Kriegshaber has been mentioned. The KZ Sub-Camp Pfersee was set up around April 27th 1944 in a large stretching vehicle maintenance hall of the former Luftwaffe News-broadcast barracks stationed at Augsburg. This camp replaced the one destroyed on April 13th 1944 by bombing of Camp Haunstettenm which had been part of the Messerschmitt AG. The still existing hall had ten major gates. In the area behind each gate a prisoner block was housed. The Inmates of this Sub-Camp ranged from 1.500 to 2.000 men. However, with the closeness of the front-line approaching prisoners arrived from evacuated camps into the west of southern Germany and affected Augsburg. This resulted that towards the end of the war, the number of prisoners grew in the camp. The majority were mainly categorized as political prisoners. But there were also 'work-shy', 'police security detainees, 'Jehovah Witnesses' Gypsies', 'homosexuals', Jewish prisoners and at least one cleric in the camp. The majority of prisoners did not come from the German Reich, but from almost all occupied countries of Europe. Incapacitated prisoners were mostly transferred back to the main camp Dachau and replaced by workable ons. Jewish prisoners were exchanged by the SS from sub-camps around Kaufering. The Pfersee camp was in close contact with the other camps of Messerschmitt AG in Leonberg, Kottern, Lauingen and Fischen. The camps in Burgau, Hogau and Bäumenheim, were also producing for the Messerscchmitt AG, under the Administration of the Augsburg camp leader. He decided on all overarching problems that occurred as well as conducting bookkeeping and accounting of all camps associated with building fighter planes for Messerschmitt. The prisoners worked almost exclusively for the Messerschmitt AG, few of them were seconded to do special tasks, they were used, for example, by the city of Augsburg and the Reichsbahn operating office for the removal of rubble and re-construction after an Allied bombing raid, others were doing services inside the Lager. The vast majority of the prisoners worked in twelve-hour rotating shifts at the about six kilometres distant plants of Messerschmitt AG in Augsburg, or in Haunstetten. There were mainly the air-crafts of the types Me 410 and Me 210 built, also parts for other types of aircraft, including the jet Me 262. In the factories, the prisoners were doing a variety of work on the machines, for example the work transportation, material storage and construction activities and clearing. In early 1945 a greater number of prisoners from Pfersee worked towards the establishment of outsourcing work for wing Production for Messerschmitt in the woods near the railway station of Horgau. The men slept in bunk beds, almost the entire space was occupied by prisoner blocks up to a small area for inmate functionaries. In the western block of the camp there was an infirmary. In the eastern block, camp elders, the camp clerk and other function prisoners were domiciled. In this area the punishments was carried out. Here the prisoners were beaten on the 'block', in addition the gallows were also erected at this location. As a roll call square, the outside of the hall served for this purpose. It was fenced off with barbed wire. The camp gate was located at the eastern end site of the camp area. The SS guard resided next to the camp gate. Factory shelters may be used during the frequent bombings only in exceptional cases. During bomb alerts in the camp, the prisoners simply marched to a nearby gravel pit. Civilian workers and residents of Augsburg rendered sporadic help, this was by no means the rule. Aid packages from the International Red Cross reached some prisoners only towards the end of the war. In camp Pfersee at least 81 men died. In all probability this figure, however, was higher, since until the autumn of 1944 the sick and deceased prisoners were transported back to Dachau. Most prisoners died in February and March 1945, when the camp was rampant by a typhus epidemic. In addition, there were dead due to exhaustion and disease, Apart from that, there were the victims shot at random by the SS for various offences. Camp Pfersee reported executions by hangings for escape attempts, alleged sabotage, looting or theft and disobedience. In addition, some prisoners died as a result of ill-treatment by the temporary guards. There is no evidence that these deaths had been recorded or included in the above figure of eighty-one. Among the team's ranks of guards, some were transferred into the SS assumed as disabled Wehrmacht soldiers unfit for front line combat. The known commanders of the camp were SS-Untersturmführer Horst Volkmar and the last camp leader SS-Oberscharführer Jakob Bosch. On the 25 April 1945, the Sub-Camp Pfersee was cleared. A small number of sick and disabled men was transported by the SS back to Dachau, the remaining prisoners, approximately 1,600 men marched under SS guard in the southern direction. After several days the concentration camp inmates reached the village of Klimmach. There they were liberated by American troops. In Klimmach two men died from the rigours of imprisonment. During the Dachau process 1947 indictment against individual members of the SS was raised, who were stationed in the Augsburg camp. The investigations of the Central Office of the Landesjutizverwaltungen Ludwigsburg in the 1970s led to no prosecutions. 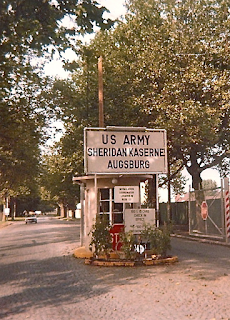 The rooms of the sub-camp were used by the US Armed Forces as part of the 'Sheriden barracks' up in the 1990s as workshops. There are no indications of the former camp. The building is unused since the departure of the Americans. As part of the conversion plans of the city of Augsburg there is a local Community Initiative striving to get the hall back and set up a memorial. 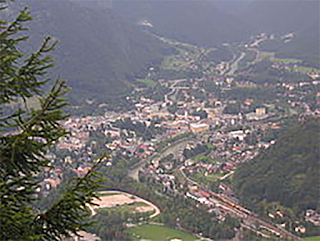 In Bad Ischl, Upper Austria, there were two external camps of Dachau - the Umsiiedlerlager (Resettlement Camp) Bad Ischl February 1942 until December 19, 1942 and the sawmill Bachmanning from June 18, 1942 until December 19, 1942. 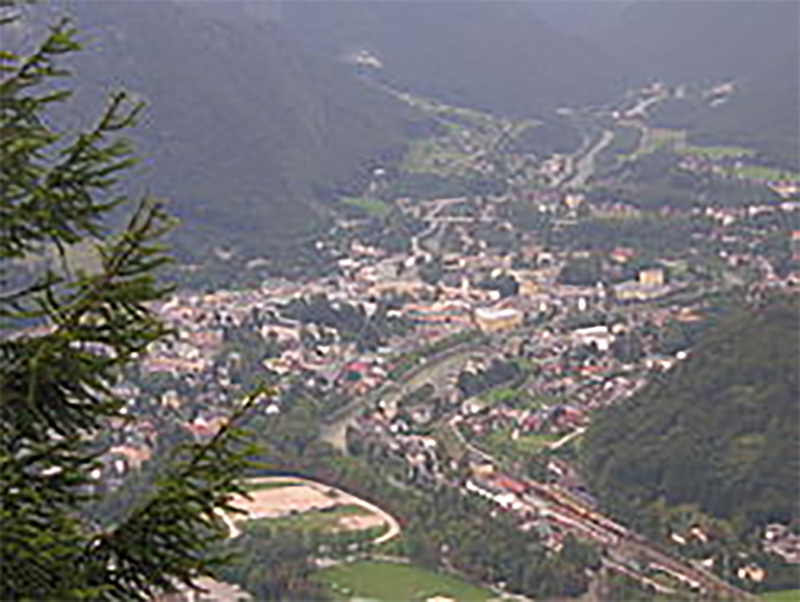 The resettlement camp was in Bad Ischl district of Roith, on the road to Ebensee, built for 'ethnic Germans' (Volksdeutsche) to settle in the Upper Danube area. Principal and owner of the camp was the 'Volksdeitsche Mittelstelle, Einsatzverwaltung Oberdonau in Linz' (Ethnic German Centre Administrative Point Upper Danube Linz'). The prisoners were used for the construction and internal requirements of the barracks of the resettlement camp. They were housed in a pre-built barrack. According to the International Tracing Service, the working commando had an average workforce of about 60 inmates. In a first transport about 40 prisoners were brought from Dachau to Bad Ischl on 9 February 1942, of these, 37 were of German and three of Polish nationality, almost all were held in protective custody. The Team Leader was the 36-year-old Kapo Ludwig Geibig from Saarbrücken who survived the imprisonment in the Dachau concentration camp. During the existence of the resettlement camp until December 19, 1942 no prisoner died, but there were deaths immediately after their return. With a second transport on the 17th June 1942 to Bad Ischl came further 24 prisoners for the completion of the interior of the barracks. The transport lists one prisoner as a plumber, one as an electrician and the remaining 22 as labourers. Nationality wise it differed from the previous arrivals, no longer were the German in the majority. The composition were now made up of ten Poles, nine Germans and five Czechs. In the following weeks between the 19th June and the 26th August 1942 a small number of repatriations from two to four prisoners were reported to the main camp at Dachau, so that at the end of August 1942, only 45 remained from the total of about 60 prisoners who comprised the command centre in June 1942 and remained there until December 1942. The investigations of the Central Office of Justice Management in Ludwigsburg 1972/73 showed only very little information about Bad Ischl. 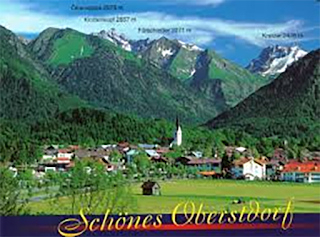 Apparently, it did not come in Bad Ischl to any homicide or serious arbitrary acts by the SS. The transit camp was used after the war as a refugee camp. In June 1946, this proportion of the Estate was leased by the Austrian National Social Services to the Austrian Glass Company, as a permanent establishment. A little more than four months after the opening of the Bad Ischl-Resettlement camp, the Sägewwerk (Sawmill) Bachmanning was selected on the 18th of June 1942 as an additional point of use for Dachau inmates in Bad Ischl. 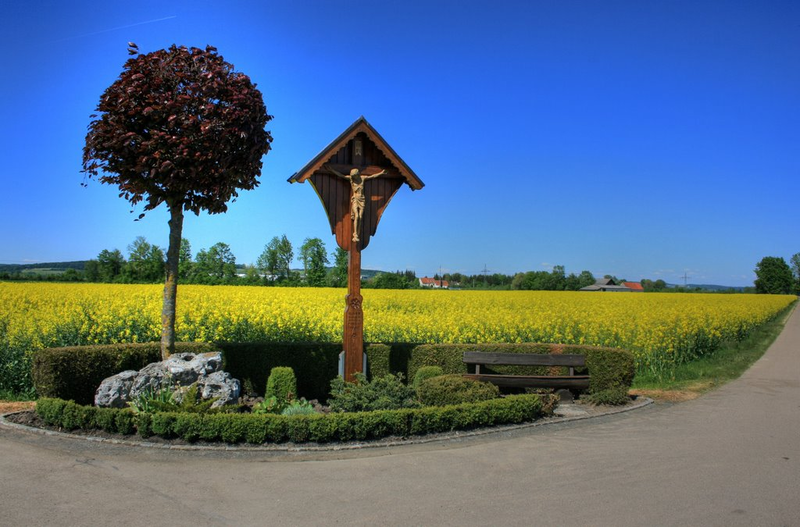 Since 1941 the sawmill served as a supplier for the German furniture factory AG in Butschowitz near Brno (Brünn), which was privately owned in May of that year by the managing director of Deutsche Ausrüstungswerke (DAW), At the plant there were initially 15 to 25 civilians employed. They were supplemented on July 28th 1942, by 20 prisoners from the Dachau concentration camp, who worked mainly as Hozfäller (Tree-Fellers). The age of the inmates ranged from 20 to 42 years. As Kapo of this Team was the 40-year-old Richard Fischer a native of Heilbronn who was held under 'Protective Custody'. Apart from him, there were three more Germans. The other nationalities were made up of thirteen Poles, two Czechs and one Yugoslav. In the course of autumn 1942, individual prisoner were recalled and sent back to their main camp at Dachau, whose places were apparently not refilled. After the withdrawal of all Dachau prisoners on December 19th 1942, other inmates from the satellite camp Grossraming, near Mauthausen arrived to continue the work. The 'sub-camp' Obersdorf part of the community of Bad Hindelang in the Allgäu existed from the 20th March 1945 to April 1945 and consisted of one prisoner only, who was allocated and worked for the wife of Rudolf Hess (Heß), Ilse Hess. 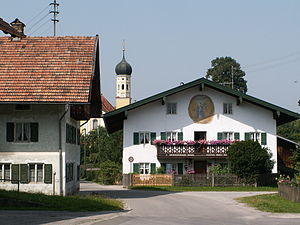 Ilse Hess, who lived in a house in Bad Obersdorf after the flight of her husband to England and his subsequent detention there, ran a small farm on the outskirts of the village. She probably requested help through the Labor Exchange (Arbeitsamt) In March 1945, and was sent the Dachau concentration camp prisoner Friedrich (Fred) Georg Frey. Frey, born in 1902 in Röt near Baiersbronn, was a Jehovah Witness and imprisoned because of his faith since 1937. After his original police custody he was detained from September 1937 to September 1939 in Dachau, and then transferred on February 18th 1940 to Mauthausen. Subsequently, he was registered until 1945 until liberation at Dachau. The tasks Frey had to perform among other things like gardening and the care and milking of ewes (sheep) and the Iceland ponies. With these he did an Express-Delivery on behalf of Bad Hindelang into the Hintersteiner valley for Frau Hess, who had been approached by the local authorities to perform this service. Frey, who testified about his stay in Dachau, that he was mistreated harshly and had suffered permanent health damage, he did not report about his treatment in the house of Frau Hess. The so-called 'forced labor' by Frey in the household of Use Hess ended 20 April 1945. Frey self-reported after the Second World War, he had gone home from from Bad Hindelang in May 1945 on his own. The legal investigation about the 'sub-camp' at Bad Oberdorf ceased in 1973, while the fate of Friedrich Frey is not known. Use Hess later went to Bremen, where she died 1995. The house in Hindelang, at the time of writing, is now owned by her daughter-in-law. 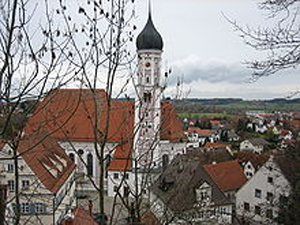 In the summer of 1940 the first prisoners from Dachau were brought to Bad Tölz. 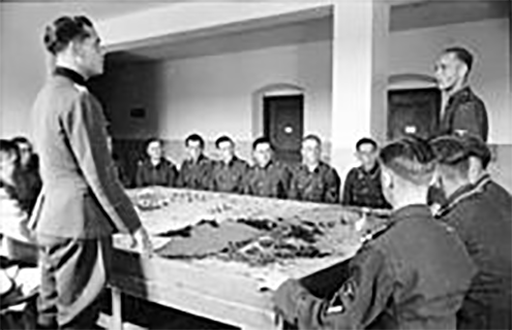 The SS locked the prisoners in five basement rooms of the garrison building in the Junker-School: Thus a new Satellite Camp was established at Bad Tölz. In the following two years the number of the basement detainees remained nearly stable. Most prisoners came from Poland, many from Germany, but also some Czechs, French, Italians and Hungarians were among them. As of October 1944, the Belgians Albert Guerisse who later on became President of the International Committee of the Dachau-Prisoner Liberation Front was with them.. Few of the prisoners were Jews. Detainees at Bad Toelz were forced by order of the Central Construction Office of the Waffen-SS to work on building projects. Among other things, they carried out renovations, put in walk ways and built horse stables as well as air raid shelters.. Later, a group of 40 to 50 prisoners had to clear a wooded area about eight kilometres away from the SS Junker school and create on the site a firing range. An independent work detail was temporarily employed in the township of Gmund. In the last months of the war there were additional 30 prisoners of the Dachau concentration camp taken to Bad Tölz. The SS transported this group every morning before the Morning Roll-Call (Appel) of prisoners by truck to Dürnhausen / municipality of Habach. In the over 20 kilometre remote location these prisoners were taken there daily, including weekends, to work on the construction of a Barrack Camp, and late at night, they were taken back to the garrison. In addition to the building projects of the Central Construction Office of the Waffen-SS, single prisoner-commandos were also directly used by the SS Junker school in other activities, they were [gezwungen] 'forced' in doing (freight) transport work, they had to dig and plant in the nursery, an Angora breeding colony had to be looked after, and the swimming pool within the SS-Garrison had to be maintained. Furthermore, they were used in making hay. There was an Auto Repair Shop attached to the School, were experienced prisoners worked as mechanics.
. Overall, the prisoners describe the relationship situation and the behaviour of the SS guards-compared to its brutal conditions in many other Knzentrationslagern-as less cruel. But irrespective of that there were in Bad Tölz heavy work details to complete. In particular, the establishment of the Schiessplatz (Rifle Range) firstly because of the long foot marches going there, the hard physical work and the brutality of the then stationed commanding SS leader at this place, which was always associated with great anguish. Most KZ_Überlebenden (survivors) declared that they did not know nor ever witnessed any murder of their fellow prisoners in this sub-camp, as was often the case in other places of detention.. However, individual prisoners died in Bad Tölz. On 10 June 1944, Florian Gloinski from Poland was killed, allegedly because he fell from a scaffolding during construction on a building site. On 21 April 1943, the German prisoner Hans Schaudig .hanged himself. The SS appointed in the summer of 1940 the two-time German concentration camp prisoner Christian Rank to Kapo and Wilhem Wimmwer his deputy. On 1 September 1942 Rank was blamed for thefts from the store room of the of the sub-camp and returned together with Wimmer and two other prisoners back to Dachau.. The following month, the SS deported all four prisoners to Auschwitz. Ranks successor in the camp was Franz Vinzenz from Munich,and remained in this position until the liberation of Bad Tölz. At least in three cases prisoners succeeded to escape from the camp, but they were usually apprehended shortly afterwards: The SS brought them initially back to Dachau and deported them little later to another tougher concentration camp. Several prisoners remember that one of their inmates who was apparently detained and categorized as a 'Gypsies,(Zigeuner), escaped while on the construction work of the SS-Shooting Rang. During the investigation of the incident the Dachau SS officer Franz Johann Hoffmann interrogated a friend of the escapee and beat him conscience on the basis that he was involved and part of an alleged complicity. A few days before the arrival of the US Army, the SS still took 7,000 prisoners from the Dachau main camp, on a death march in the direction to the south. 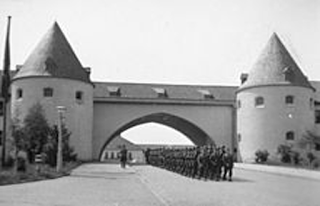 Shortly before Nay 1st these prisoners arrived at Bad Tölz, the inmates of the Cadet School were forced to leave their cellar accommodation and join the train. In the evening, the concentration camp inmates were brought near he village of Wolfsöd into a wooded ravine, fear of a mass execution went through the ranks of prisoners. But apparently the presence of a Wehrmacht's General preventing the SS guards from committing a bloodbath. On the command of this high ranking military commander all the remaining prisoners were returned to the Junkerschule. In the following days, US-Army troops liberated the remaining survivors and gave them medical care where needed at the Cadet School Garrison. The US Army continued to use the buildings of the former Junker School under the name of 'Flint Barracks' until 1991. Since 2001, development companies of the city and the District Council of Bad Tölz are working on the complete redesign and redevelopment of this historic site. History - Beginnings: Even in the early Bronze Age, the plain between the Donau and Lech was inhabited, as evidenced by the discovery of a skeleton grave near Hamlar. During Roman times, the Via Claudia Augusta leading through the present municipality. In the summer of 1944 the Messerschmitt AG erected in the buildings of the Agriculture Factory Dechentreiter in Bäumenheim a satellite camp for armament facilities and an outsourcing operation for prisoners originally from the Dachau concentration camp. The managing operation were located near the railway station of the municipality Asbach-Bämenheim on the track line from Augsburg to Donauwörth. This sub-camp was first mentioned on 1 August. The approximate 500 prisoners came mostly from the the camp located at Pfersee (near Augsburg) to Bäumenheim. The prisoners stayed in a three-story brick building on the premises of the Dechentreiter Firm, immediately adjacent to the workshops. At the top two floors were the dormitories of inmates, on the ground floor the kitchen and a magazine was installed. The building had been surrounded by barbed wire. In the next adjacent building the SS guards were housed. This group consisted of about 50 men, plus former Wehrmacht soldiers that had been drafted into the SS for guard duties.. Camp leader was a Oberscharführer Rossbach. The camp Bäumenheim was administratively subordinated to the central sub-camp located at Augsburg-Pfersee. The prisoners worked for the Messerschmitt Parts Operation in two twelve-hour shifts and produced components for the jet fighter Me-262. Apparently there were no deaths from abuse or punishments for criminal activities by prisoners in this camp. However it happened, and the main reason, that members of the guard or administration would drive the workforce with blows to achieve higher production performance or if idleness was evident. On the 19th March 1944, the town Bäumenheim was bombed by Allied aircraft, the aim was the Messerschmitt-Works. apart from numerous local civilians, and three SS guards, about 70 inmates were killed. Moreover, among the inmates that had gone into fragment protection trenches, the casualties among the inmates was rather high and unexpected.. Some of the wounded were taken to the hospital about five Kilometre away to Donauwörth. The majority, about 50, had been taken into the infirmary of the external camp of Pfersee. The dead were first buried in the cemetery at Bäumenheim. After the war, most were exhumed and moved to the Dachau Leitenberg elementary. A memorial stone recalls the bombing of the victims, which includes the concentration camp prisoners. After the attack, the 300 remaining prisoners were used to dis mantel the facilities that remained. 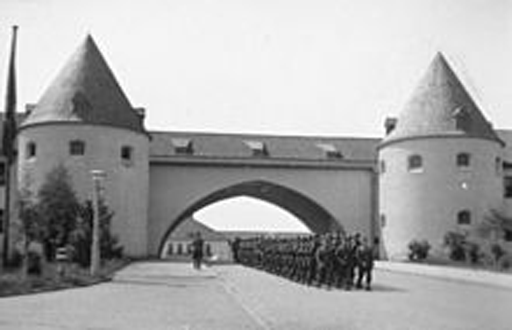 In early April 1945 they were transported by train to Landsberg am Lech and then marched to their main camp at Dachau, where they were liberated by American Armed Forces.. During the Dachau processes the IBT Bäumenheim was sporadically mentioned, but it was not until 1969,that the Central Office of the Landesjutizverwaltung in Ludwigsburg took up the investigations, but was ceased shortly afterwards. On the grounds of the former camp, the company Agro have now built up their assets. According to the Federal Law Gazette indicates there are no documents regarding a Dachau satellite camp at Bichl in the district oF Bad Tölz (Bavaria)..The municipality Bichli in 1941 decided to employ 100 prisoners of war in the expansion of railway property by the Regensburger Firma Riepel., and further 700 Jewish women with their children from the Litzmannstadt ghetto (Lodz) which were deported to Bichl as forced labours who the Germans had rounded up. From May to December 1941 they were housed n the flax factory of the municipality. Large parts of the former flax mill no longer exist today, in a smaller area of the site a carpentry is now set up. .The prisoners worked for the company BMW in the production vonZahn wheels and connecting rods for aircraft engines. An impression of the size of Ptroduktiosstätte gives the number of 345 machine tools, which had been housed in a factory building of AQllgäuer weaving spinning Blaichach, simultaneously during the production of tables was continued in neighboring rooms. The prisoners of the outdoor camp were quartered in the factory building of the Allgäu weaving spinning in two floors, the whole building was surrounded with watchtowers and barbed wire. The prisoners were set depending on floor belonging to the day or night shift. Lagerführer of Blaichach was derived from the Saarland Oberscharführer Theodor Stutz-Zenner, who had been Serving since May 1941 in the Dachau concentration camp. Guarding the camp was for the SS that vielfachaUS wurd no longer front-grade Wehrmacht soldiers recruited. At the workplaces of plant security company BMW was responsible. The prisoners are believed to be those, who had previously worked in Allach for BMW. Former prisoners claim that they had been abused with slaps (Ohrfeigen) or blows there, yet serious injury, death blows or murder did not occur in Blaichach, Living conditions in the camp were marked by general lack of comfort, it was simply basic. From the traditional linen requirements mainly under garments, it can be concluded that the clothing was poor. While there appears to have been a change of clothes, which was sent back every ten to 14 days to Dachau for washing of dirty and soiled clothing, this meant in fact that prisoners had two sets of garments at their disposal., Also prisoners received for their personal hygiene soap and shaving soap. but instead of socks, prisoners often wore foot-wraps. The footwear were wooden clogs or shoes (upper leather) with wooden soles, in some cases, numerous pairs of 'prisoner's leather shoes' is mentioned as footwear. Because the clothing from Dachau was insufficient, the prisoners had to take care of their own requirements. As to eating utensils and woollen blankets, the BMW works were responsible. The camp doctor of the Dachau concentration camp, during his inspection at Blaichach, praised in the 'airy rooms' of the SS team. The inmate quarters he found 'light, airy and spacious' and the food 'nutritious'. The medicine supply for the detainee hospital, provided by the BMW company he judged to be satisfactory. Nevertheless, there had been between the 8th September and 19 November 1944 a total of 35 sick prisoners returned to the main camp (Stammlager). As prisoner replacement they were were transferred from Dachau to Blaichach, this was usually standard procedure. Through work assignments some prisoners managed to make contact with the civilian population. An Austrians functionary inmate testified to the helpfulness of the Blaichach people and other inhabitants of the area. On the 2nd September 1944, the camp reported that five prisoners as have been lost by escaping. Whether the escape of four Russian civil inmates and one POW actually succeeded, or whether they were apprehended again, is unknown. Seven weeks later, eight prisoners were transferred back to Dachau from Blaichach with the remark 'Fluchtversuch' (Attempted to escape) Existing records indicate that during the existence of the camp one Dutch, and two Russian prisoners died, whose deaths were registered at the town hall. After the war, three more Russians died. At the cemetery at Blaichach five former prisoners are buried, the inscription on the grave stones in indicates their origin from the camp. The former Camp Commandant Stutz-Zenner was was placed before an American military court proceedings,accused of crimes against detainees in Dachau Flossenbürg, Allach and Blaichach.. He, it was claimed to have been involved in selections and subsequent sending of prisoners to extermination camps. It was alleged he witnessed the executions of two Soviet prisoners he had reported to the Administration in Dachau for looting, and were hanged. A French inmate was battered so severely that he died from of the injuries. He also should have assaulted particular French and Soviet prisoners because his brothers had been killed in action in hoe countries. Stutz-Zenner was sentenced on 22 August 1947 to life in prison, but released from the War Criminal Prison Landsberg on 23 May 1955. The date of his death is unknown. Burgau is a town in the district of Günzburg in Swabia, Bavaria. Burgau lies on the river Mindel, and has a population of just under 10,000. By February 1945, the personnel administration barracks were vacated by the Messerschmitt AG. 120 male prisoners from Dachau arrived, a sort of advance party whose task was to prepare 6,000 square- meter of terrain for its new function, a proper type of sub-camp. On the night of the 3rd and 4th March, the first transport of 500 prisoners, Jewesses, arrived, nationals of Poland and Hungary, aged between 17 to 45 years of age, at Burgau. The very next day, a second transport also 500 female prisoners from the same countries of origin disembarked. The first transport that arrived was from Bergen-Belsen, the second from the women concentration camp of Ravensbrück. During the more than the two weeks of rail travel many detainees had died. The survivors were half starved and bitterly cold in freezing temperature., unable to work, for which they had been brought here. The consequences of transportation influenced significantly the living conditions of women in Burgau, even after six weeks of stay in the camp, it was hardly a sufficient way for them to recover. After arriving in Burgau the female prisoners were given numbers - following the example of the Dachau system. Accustomed to Ravensbrück's conditions, they were pleasantly pleased to note that only 92 prisoners were kept in any one room, so that they had to share a bed only with one friend. The Hungarian prisoner Eva Danos describes the daily rations: In the morning four decilitre 'coffee substitute, at noon seven decilitre hot water with the labeled 'soup', evening four decilitre 'coffee and 120 grams of bread. The real purpose of the satellite camp, was, for prisoners to work in the defence industry, but due to it's short existence of the camp it played only a minor role. 120 men and 120 women were selected to work for the Kuno-works, they were taken by trucks and buses to the factory, some days, especially. when air strikes threatened, they had to walk several kilometres on foot. Some of the other women were used for work within the camp or in earth works for the municipality of Burgau Those remaining prisoners who were sick upon arrival the first few weeks and now recovered were probably the majority, there was no work at all. It is interesting to note that prisoners employed by the Kuno-Works received twice the amount of bread ration than others. Testimonies show that some German women from the area who were also engaged together at the Kuno-Works went to local farmers to collect food which they they shared out under the prisoners. Camp commander at this time was Sergeant (Oberscharführer) Johann Kresse. He changed his name after the war to Kulik., Under this name he gave evidence the Dachau processes. A former prisoner reported about him, that he had threatened with his pistol durin a roll-call, to shoot anyone, whom he might find 'electriccal wiring used as shoe laces.' (meaning the thin cables used in aircrafts). Actual crimes during his Burgauer time were not known Dr. Karl Schäffer reported that Kresse had followed his advice to improve medical care and nutrition of the prisoners after much hesitation. Kresse was sentenced on 3rd March 1947 by an American military court to five years in prison, less the pre-trial detention, for the 'humane behaviour' of Kresses. It is more likely his anticipation and knowledge of a lost cause with the feared penalties by the Allies to have played a decisive role of his behaver throughout. On 24 April, the camp was evacuated because of the approaching US troops and the prisoners transported by train towards Kaufering. The train, however, went onlyas far as Untertürkheim, from where some of the prisoners walked towards München-Allach on foot. On this death march at least 60 people lost their lives . Author German Text: Zdenek Zofka.